A year ago, Ehrhart never dreamed she would be launching her own marijuana business. But opportunity moves rapidly, and Ehrhart says she saw the chance to get in on the "ground level" of a popular new market. She has charged head-on into the challenge, navigating the complicated approval process and relearning a culture that has evolved since her high school days. Read More: The Inlander, "Green Dreams: An accountant embraces risk and launches a marijuana boutique in West Spokane"
The owner of a west Spokane pot shop is vowing to follow through on a promise to donate marijuana to medical patients, despite concerns from state regulators about advertising. Read More: The Spokesman Review, "Spokane pot shop moving forward with free weed, despite legal concerns"
A local pot shop kicked off a marijuana giveaway Wednesday, offering $36,000 of free weed to medical cardholders, but they could be facing a fine because of local news coverage. 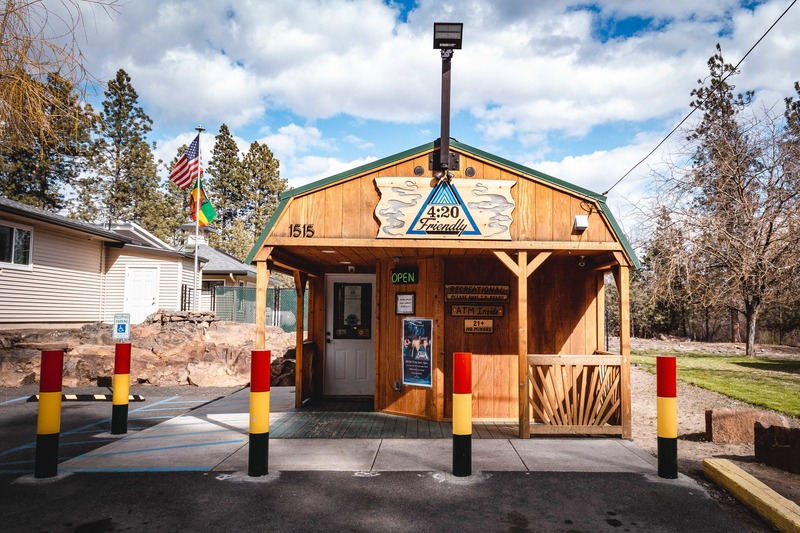 Read More: KXLY News, "Local pot shop gives away free medical marijuana, faces fine"
The LGBT community has supported medicinal marijuana for years because in the early years it helped HIV/AIDS patients taking abundant medication, some of which needed to be taken with food. The marijuana industry provides a boost to the economy and is booming in states that have legalized recreational use for the drug and INBA is pleased to welcome two new businesses into this category, Kouchlock Productions, and Four Twenty Friendly, LLC. Read More: INBA Weekly, "INBA gets 4:20 Friendly!" “It’s got history behind it, and it describes who we are,” Erhart said. She and her wife aren’t “really users,” Erhart said, but they have many friends and business associates who are. Read More: The Spokesman Review, "'420' becomes part of the dictionary as Spokane embraces the counterculture, pot holiday"
On Thanksgiving, most people show their appreciation for the year’s harvest by gluttonously stuffing it down their own gullets. But not the staff at 4:20 Friendly, a cannabis shop in Spokane, Washington. This year, these marijuanaheroes are giving thanks for their green bounty by giving away $36,000 worth of free weed. Read More: Inverse, "These Marijuana Heroes Are Giving Away $36,000 Worth of Free Weed"
The shop always has a huge selection to choose from, so you never have to worry about leaving with empty hands! Whether you want some of the best concentrates available, or a simple joint, 4:20 Friendly can not only take care of you, but leave you excited for all of the opportunities the world has for you! Read More: Dope Magazine "If You Build It, They Will Come"